St. Martin's Griffin, 9780805091403, 352pp. In search of answers, Hallie travels to the place where her mother lived, a remote island in the middle of the Great Lakes. The stiff islanders fix her first with icy stares and then unabashed amazement as they recognize why she looks so familiar, and Hallie quickly realizes her family's dark secrets are enmeshed in the history of this strange place. But not everyone greets her with such a chilly reception—a coffee-shop owner and the family's lawyer both warm to Hallie, and the possibility of romance blooms. And then there's the grand Victorian house bequeathed to her—maybe it's the eerie atmosphere or maybe it's the prim, elderly maid who used to work for her mother, but Hallie just can't shake the feeling that strange things are starting to happen . . .
Wendy Webb is editor in chief of Duluth-Superior magazine. A journalist with two decades of experience, she lives in Minnesota. 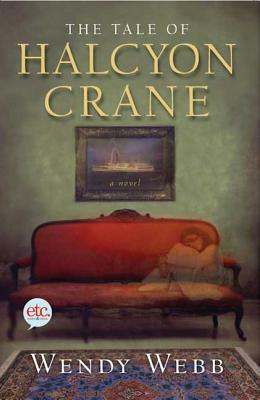 She is the author of the novel The Tale of Halcyon Crane.